"It was great to see your piece as it is supposed to be seen. 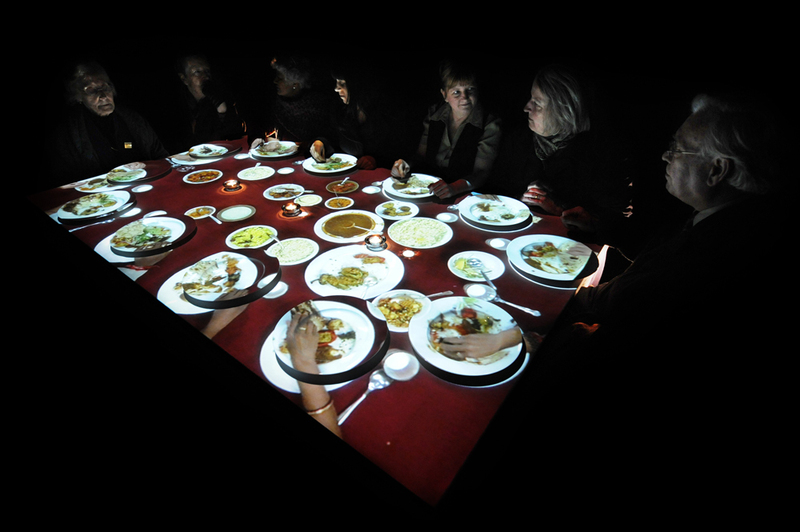 Interactivity in the best sense: perhaps the only meaningful sense at this point in history." From a fellow artist on seeing In Other People's Skins for the first time. During October 2010 IOPS was shown at the Salisbury Arts Centre and in December at the P3 Gallery opposite Madame Tussauds. In Other People's Skins has just finished an 8 week exhibiton at Vasteras Cathedral in Sweden where it's estimated tat around 10,000 people saw and took part in the work (February - April 2010). In its first tour of 6 cathedrals and Bath Abbey During 2008, numbers of visitors to those cathedrals during the 15 week tour were recorded at around 150,000. 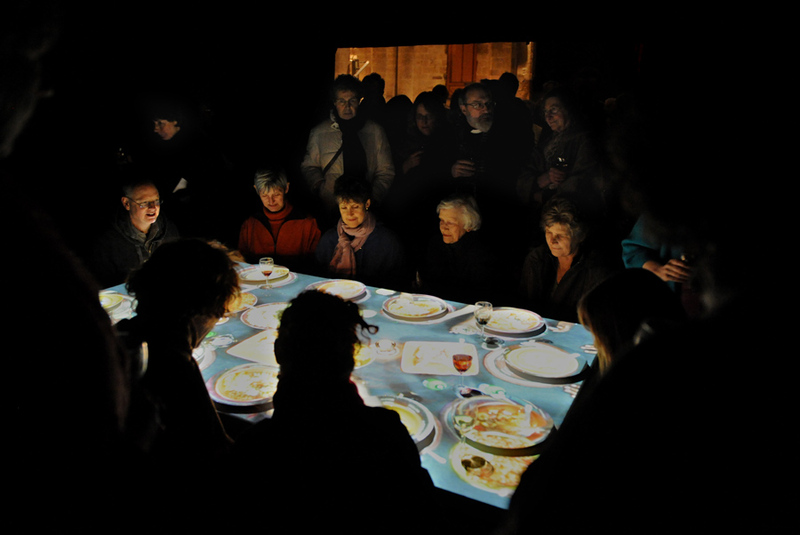 We estimate around 50,000 people were seated at the table during the 15 week tour. In Other People's Skins then went on to an exhibition in Malta during 'lejl imdawwal' (the White Night). The arts Centre at St James Chevalier hosted the work and an amazing 5000 people came to sit at the table during the all night openin, (the work exhibited for another four weeks). In 2009 this work was then shown at Southwell Minster (30th March - 1st May 2009) and also at Fabricca del Vappore in Milan (2009). This work will continue on to the Cathedral Church of St John the Divine in New York for three months beginning June 2010. The work will also display at the DIgtial Art Weeks Sympsium and exhibition in Xi'an, China in July 2010.